Be Connected is an Australian Government initiative to help increase the confidence, skills and online safety of older Australians in using digital technology. The program is reaching those aged 50 years and over, who have minimal or no engagement with digital technology through the support of organisations, also known as Network Partners, across Australia. Our Network Partners are the backbone of this initiative, delivering the learning and support to older Australians. YourLink is one of these Network Partners. There is also a dedicated Be Connected learning website with information and interactive training tools and resources for older Australians, their families and peers, and local community organisations. (managed by the Office of the E-Safety Commission). Learning content covers everything from the basics like using a mouse and keyboard, using email and searching the web to more advanced internet skills like using social media and shopping online. There’s also additional content for tutors and volunteers wanting to support them and a map to find local help. Organisations across Australia are encouraged to join the network. It's a simple process to become a Network Partner, this can be done by registering for an account via the Be Connected website and submitting organisation details. Network partners are then welcome to access the program resources such as grant funding opportunities, help to market yourself via free materials, training and resources, support for your delivery and much more. Be Connected is aiming to establish and support a national network of community organisations who will support older Australians to thrive in a digital world. What types of organisations and groups are involved? So far we have around 350 Network Partners made up of a variety of organisations including: Men’s Sheds, Libraries, Local Authorities, Bowling Clubs, Community Resource Centres, Local Computer Clubs and many more. The team would love to hear from any organisation or group who has an interest in supporting people to get online! 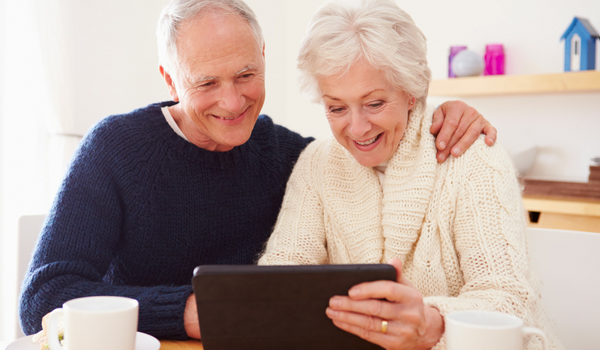 Why is digital inclusion important for older Australians? Australian Digital Inclusion Index report suggests digital inclusion tends to decline as age increases, particularly for older Australians. Those aged 65 and over are the least digitally included age group in Australia and the gap between this group and younger Australians is widening. Be Connected believes digital inclusion can help to improve lives and is a channel to improving skills and to promoting wellbeing. How can anyone find out more? Those looking to get help to use the internet can call the helpline: 1300 795 897 and the team will help you to find a local place to learn.